3 Beds, 3 Baths | 2,527 sq. ft. This home is situated on a quiet, corner lot across from Living History Park, walking distance from downtown North Augusta, less than a mile from downtown Augusta, and close to Martintown Road/I-20! 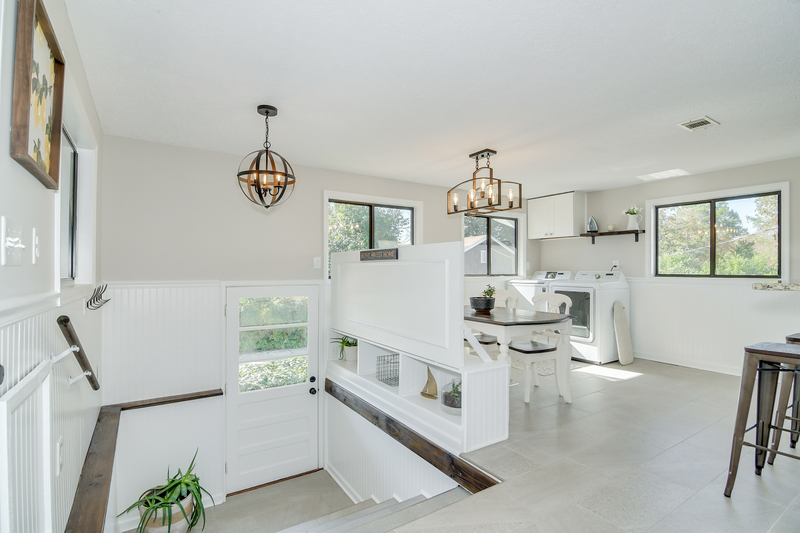 The fully fenced property boasts a huge workshop with single garage plus two rooms and two sinks, a circular driveway, and recently installed retaining walls and French drain system, while the ivied fence adds privacy. 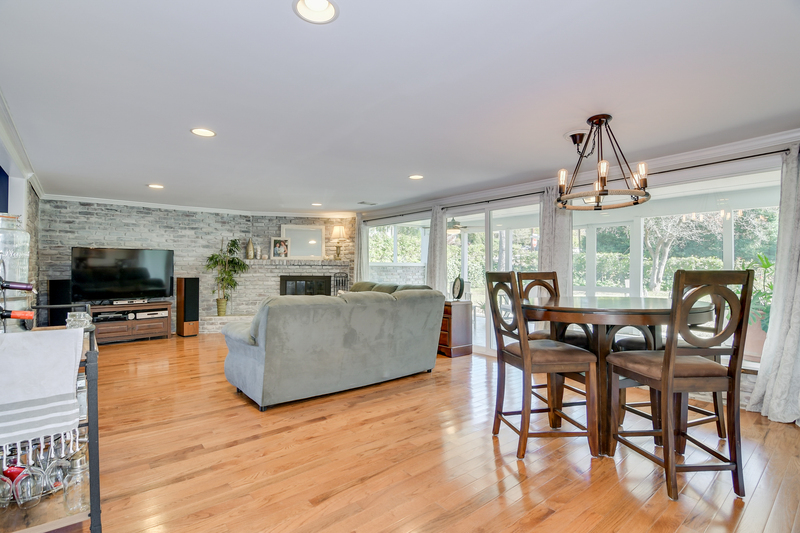 A beautiful new Steves and Sons wood front door welcomes you into a spacious open floor plan. 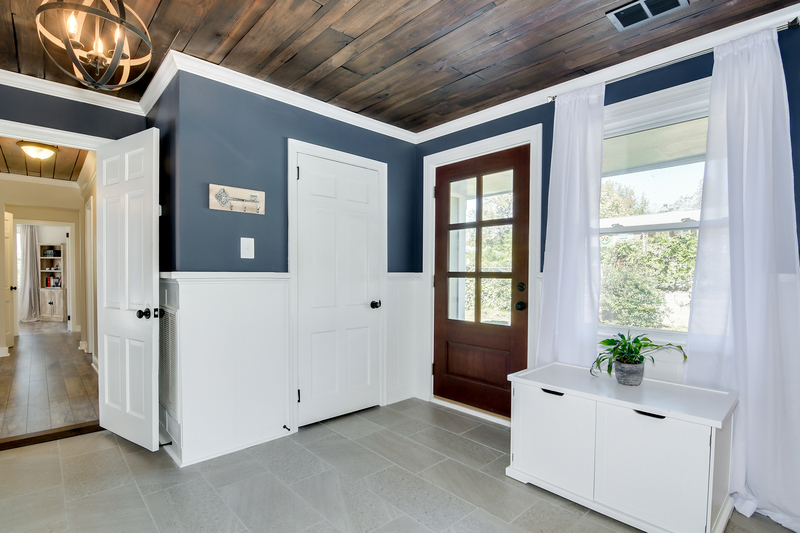 The foyer introduces new porcelain tile which continues in the kitchen, breakfast room and all bathrooms, as well as a rustic wood ceiling and board-and-batten wainscoting. A large case opening leads into the large great room which boasts a hardwood floor, exposed brick fireplace, recessed lighting, and an open dining area. 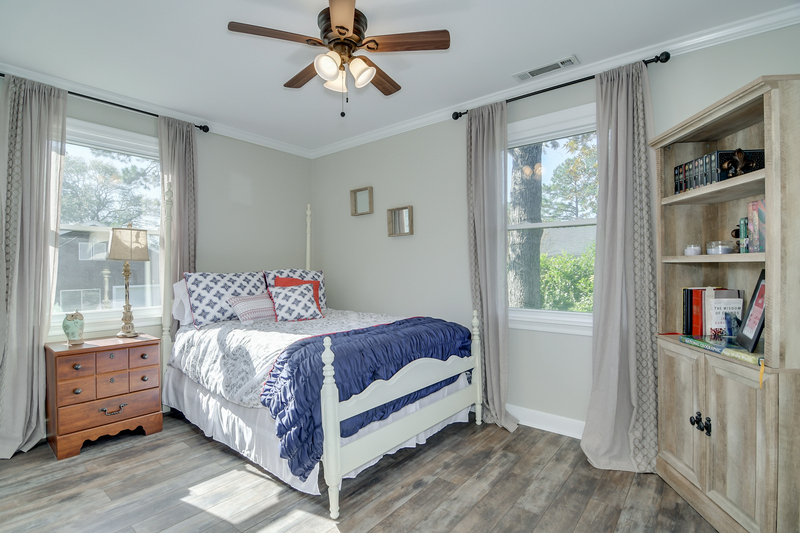 New light fixtures add farmhouse charm in the main living areas, while all bedrooms have new ceiling fans. 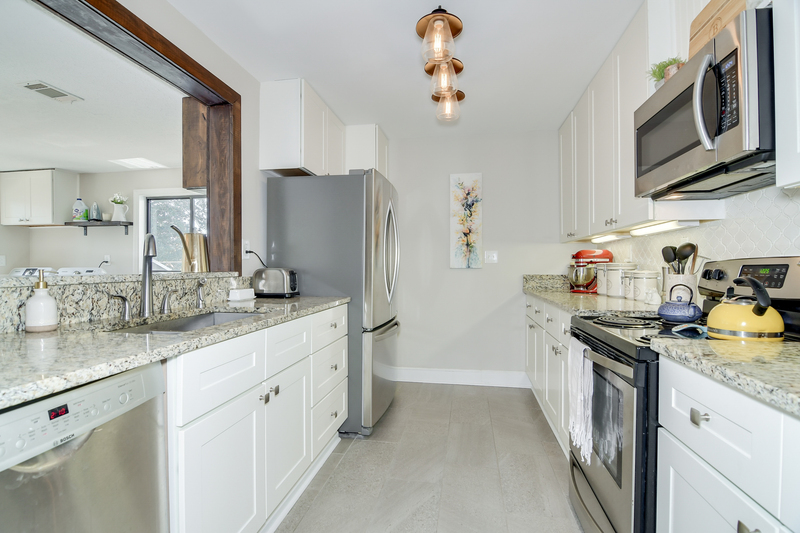 Next to the great room, the fully remodeled kitchen has new Napoli granite countertops, white cabinetry with convenient pull-out drawers, an arabesque tile backsplash and stainless-steel appliances. 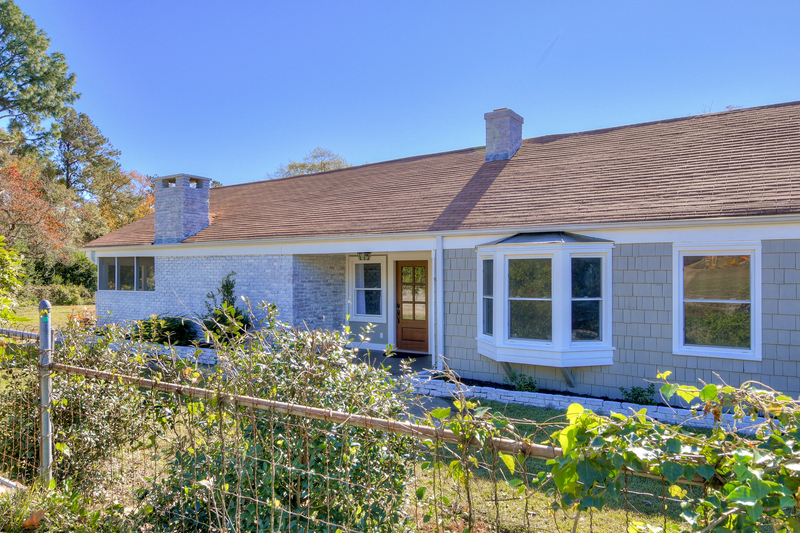 A rustic wood pass-through opens into the large breakfast/laundry room with backyard/carport access. A custom-built breakfast bench adds farmhouse charm, and the breakfast table and chairs are included! The granite and lovely backsplash continue in the breakfast room with snack bar, coffee counter, and a custom wooden wine rack. Over-laundry cabinet features new tankless water heater (compact but sufficient for the entire house!). New wood-look laminate leads down the hallway and into all bedrooms. 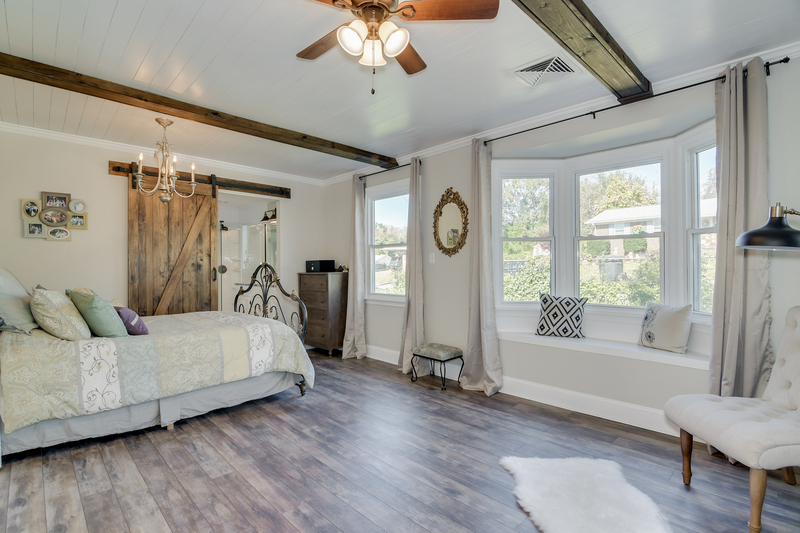 The lavish owner suite boasts a shiplap ceiling with wood beams, a brick fireplace, a bay window, a new chandelier and ceiling fan. 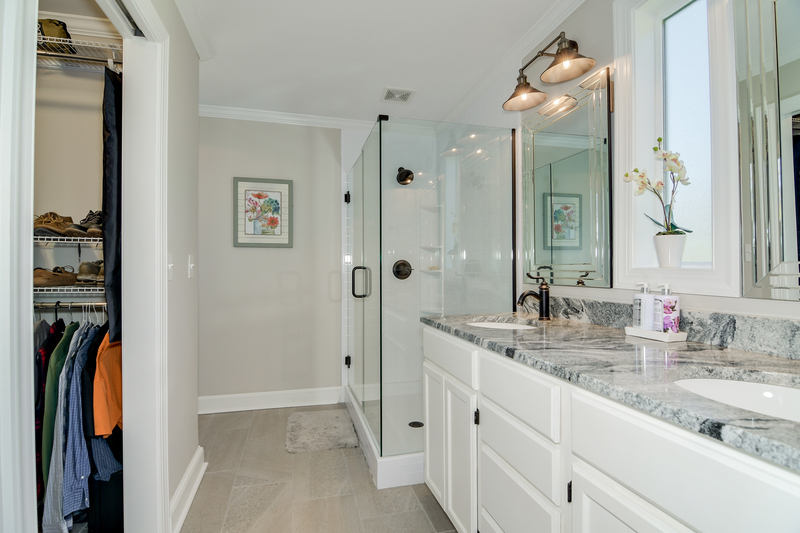 A new barn door leading into an incredible private bathroom with a custom Bath Fitter shower, frameless glass, a granite dual vanity and walk-in closet. A second full bathroom has Alaska White granite and is convenient to the secondary bedrooms and main living areas. All bedrooms have new ceiling fans, and the entire house has been freshly painted inside and out. 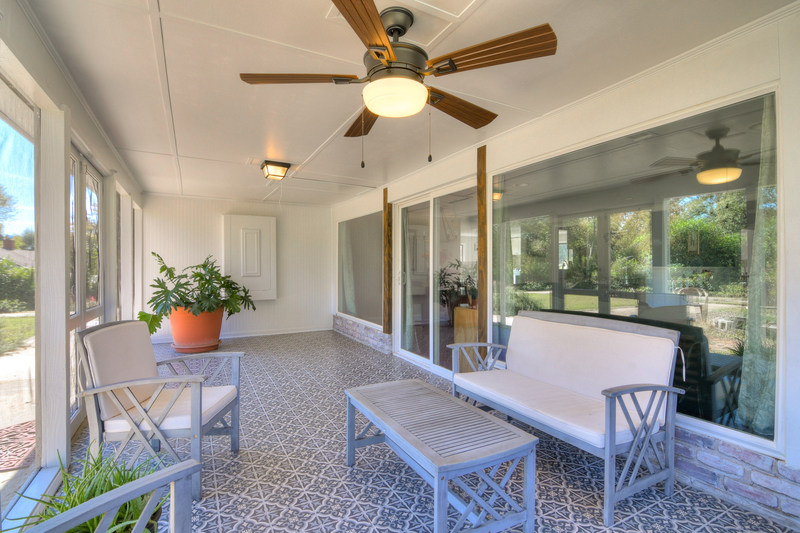 Adjacent to the great room is a serene screened porch with gorgeous tile and a built-in grill. 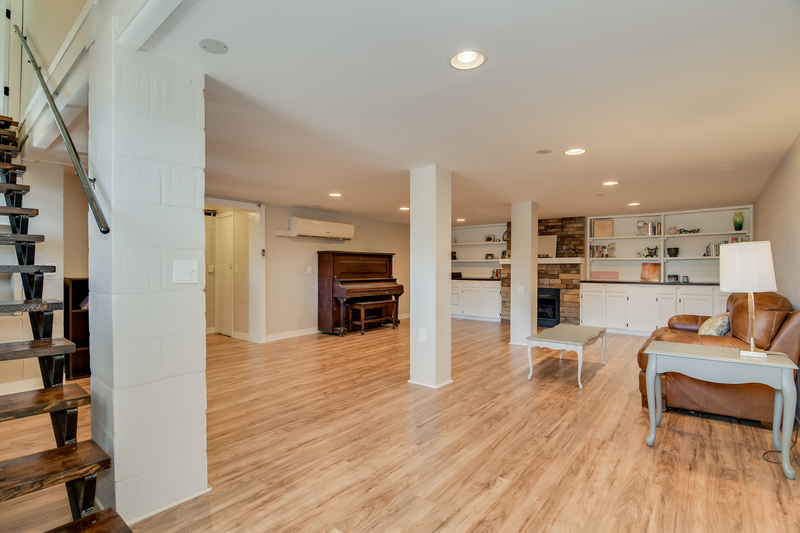 Not to be overlooked, the finished basement includes an electric stone fireplace flanked by large built-in bookcases, recessed lighting, and new flooring. A full bathroom and outside entrance add possibilities and convenience downstairs!